Assorted Brands Hatch paperwork used in the production of Ron Howard’s 2013 sports-drama, Rush. 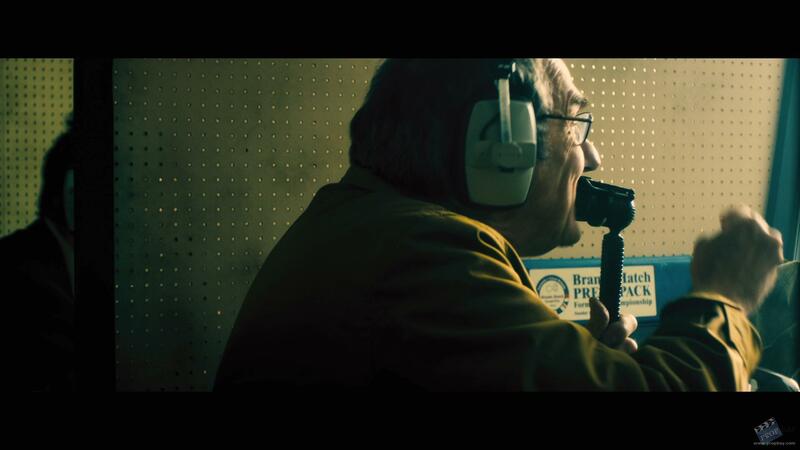 Based on a true story, the film follows racing icons Niki Lauda (Daniel Brühl) and James Hunt (Chris Hemsworth) during their infamous 1976 Formula One season. As their rivalry on and off the track begins to take its toll, a near-fatal injury leaves Lauda fighting for the championship and Hunt in pole position to take the title. This paperwork would have been found in the press area of the Brands Hatch racing circuit, most notably in the commentator’s box where a ‘Brands Hatch Press Pack’ can be seen. 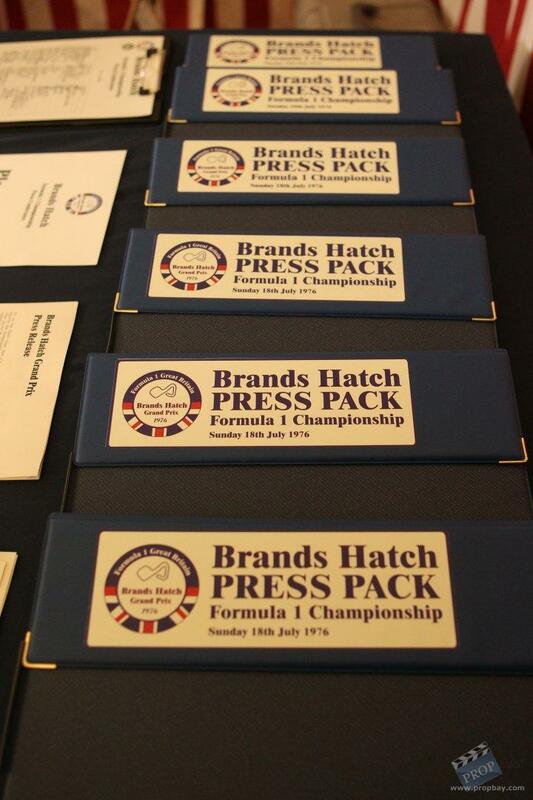 The paperwork consists of a copy of the Brands Hatch Grand Prix press release, a race update sheet, a map of the press area, a printed press conference sign in sheet and a 'Brands Hatch Press Pack' sticker. 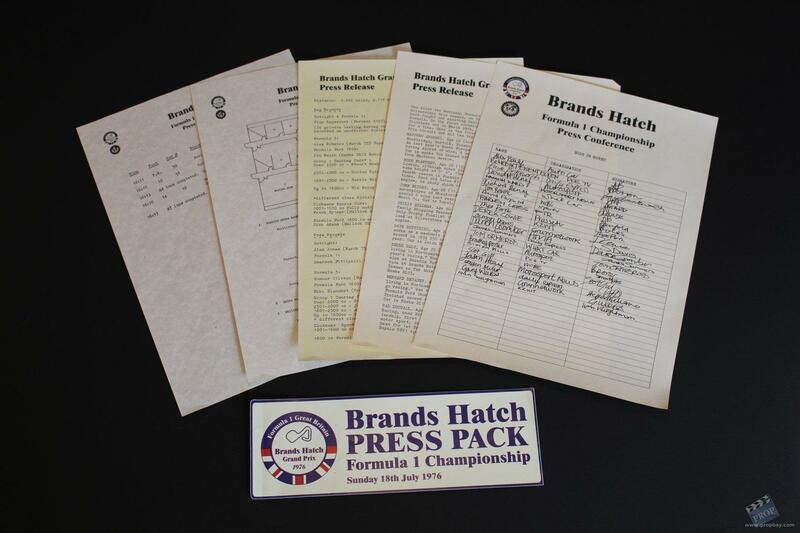 Each of the documents has been printed on A4 paper and features a 'Brands Hatch 1976' logo. The second page of the press release has been printed slightly off-colour. Each item remains in excellent production-used condition, with the sticker measuring approximately 23 x 8cm (9 x 3.25"). Comes with a COA from Prop Store. Added: 09-07-2014 - Viewed: 1281 times.